The Dingos have won their second match in a row, hanging on to defeat the Broadview Hawks at UTSC, and now head into the Canada Day break with a winning record. Low on numbers, both sides agreed to play 14-vs-14, which suited UTSC's smaller surface. 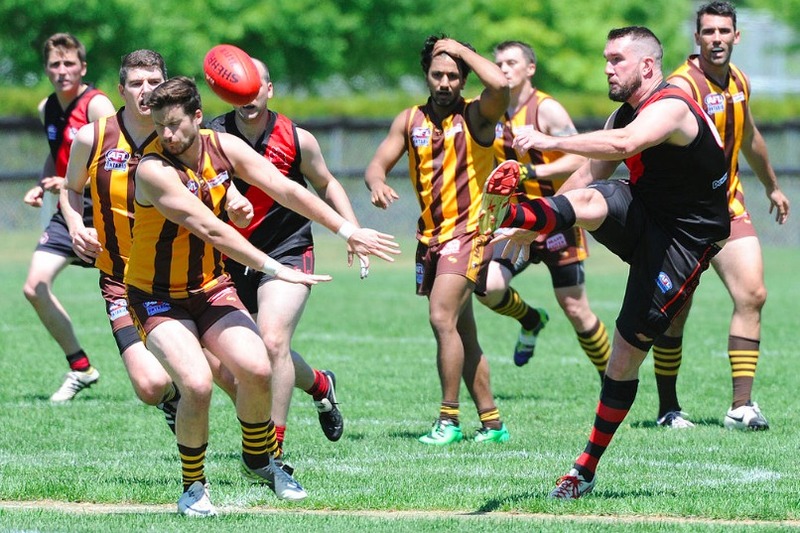 Momentum swung several times throughout the match, but it was the Dingos who weathered a late Hawk charge to win by 17 points. Welcoming back 2015 leading goalkicker Wade Edwards (four goals), the Dingos hit the front early as their forward line proved too strong for the undermanned Hawks' backline. Paul Tinkler continued his great start to the season with three goals of his own, while swingman Dave Wells contributed a goal before shifting to defense and standing tall when the match was in the balance. Backmen Mike Bocian and Mike Karas nullified the Hawks forward line and continuously rebounded the ball to keep the Dingos in front. Greg Gilbert was again solid in the back half, negating his man and getting plenty of the ball himself. As the Hawks piled on several last quarter goals to move within striking distance, it was Sean O'Reilly who stood up and comfortably dodged a tackle before slotting the sealer from just inside 50m. It was his second goal of the game, and his second as a Dingo. The Dingos are now 3-2 and have a week off before traveling to Ottawa on July 9th to take on the Swans for the second time this season.